Conflicts over natural resources abound in India, where much of the population is dependent on these resources for their livelihoods. Issues of governance and management are complicated by the competing claims of parallel legal systems, including state, customary, religious, project and local laws. Whereas much has been written about property rights, this unique collection takes a legal anthropological perspective to explore how the coexistence and interaction between multiple legal orders provide bases for claiming property rights. 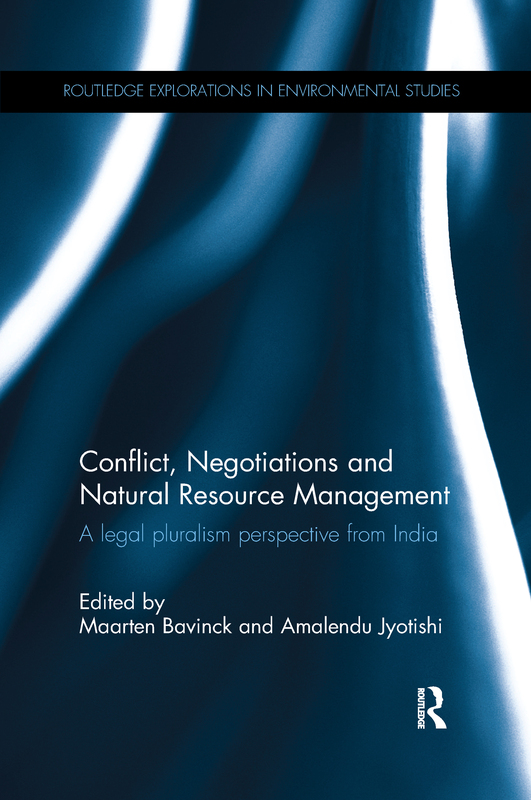 It examines how hybrid legal institutions have developed over time in India and how these impact on justice in the governance and distribution of natural resources. The book brings together original case studies that offer fresh perspectives on the governance of forests, water, fisheries and agricultural land in a diverse range of social and spatial contexts. This brand new research provides a timely and persuasive overview of the fundamental role of parallel legal systems in shaping how people manage natural resources. It will be of interest to scholars and practitioners of environmental law, property law, environmental politics, anthropology, sociology and geography.